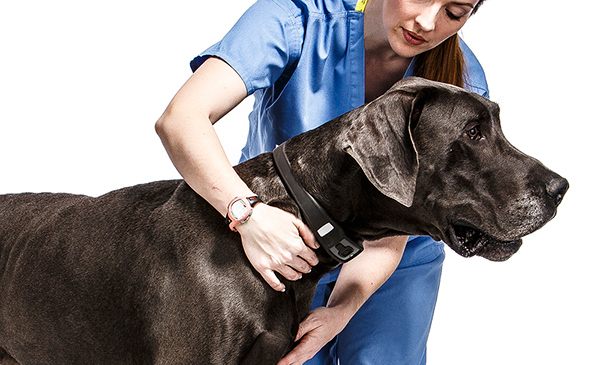 i4C Innovations envisioned applying wearable technology to an entirely new market: animals. 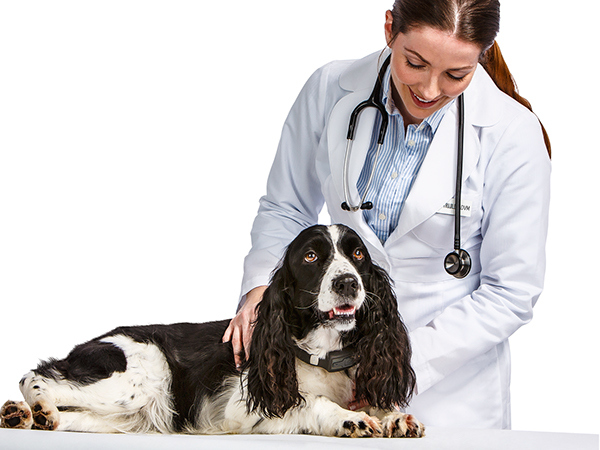 Karten Design used our knowledge of consumer electronics and wearable health technology to design the world’s most sophisticated wearable device for pets. 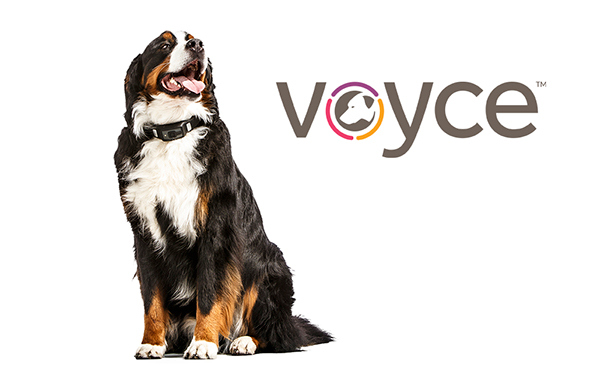 Voyce is unlike any pet tracker on the market. Its advanced sensors tracks vital signs, such as heart rate and respiratory rate, along with wellness indicators like activity, rest, and calories burned. 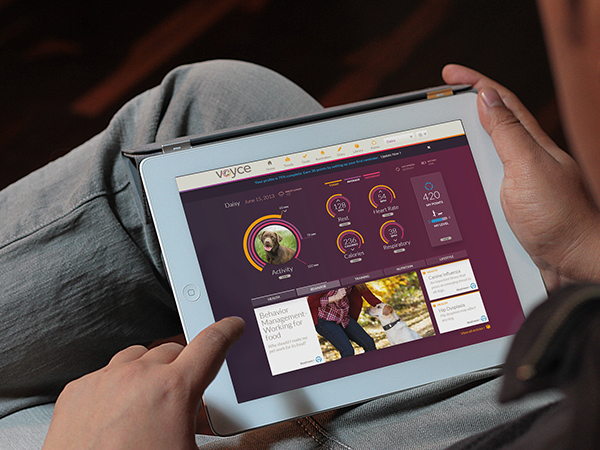 Voyce gives concerned owners a deeper look into their pets’ wellbeing by revealing key data trends, offering timely information, and providing actionable recommendations. 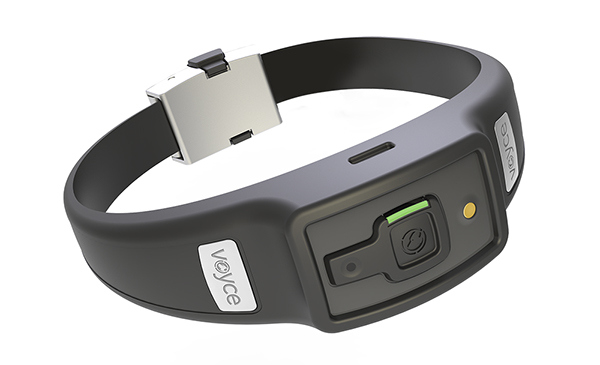 Our design needed to convey this device’s sophistication and help differentiate the Voyce brand, giving it a paw up on its competitors. 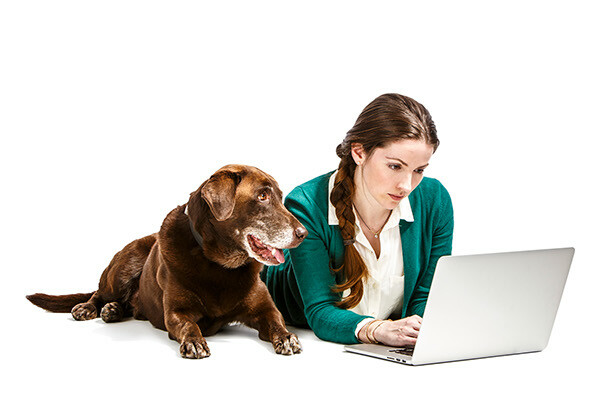 Designers were challenged to accommodate two distinct end users: dogs and humans. We selected materials and forms that would be comfortable and durable for dogs, such as a soft, weather-resistant rubber band that integrates the device’s electrical components seamlessly so pets won’t have to feel a thing. 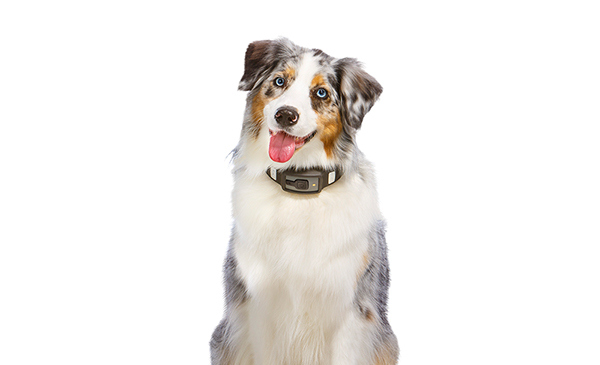 We implemented features that make things easy for pet owners; an intuitive clasp allows them to put on, remove, and adjust the collar with one simple mechanism, without pinching their animal’s neck in the process. With a design that’s simultaneously durable, comfortable, and approachable, the Karten Design team developed the first wearable device to help bridge the communication gap between dogs and the people who love them.